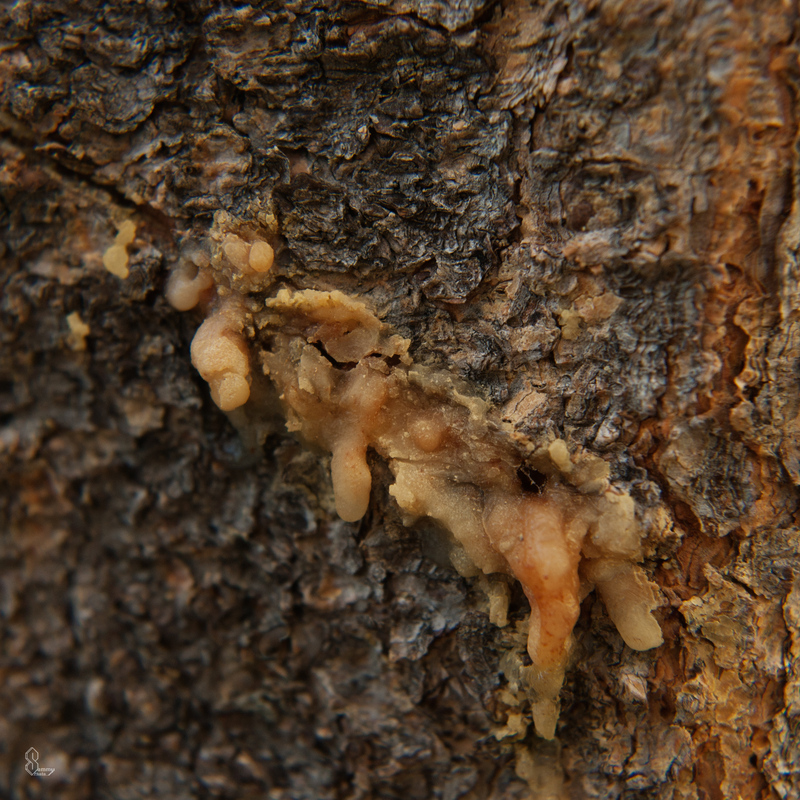 This fungus-like form was found on a Foxtail Pine that was hard to notice at first but once I got near the tree, it popped out quite vibrantly. 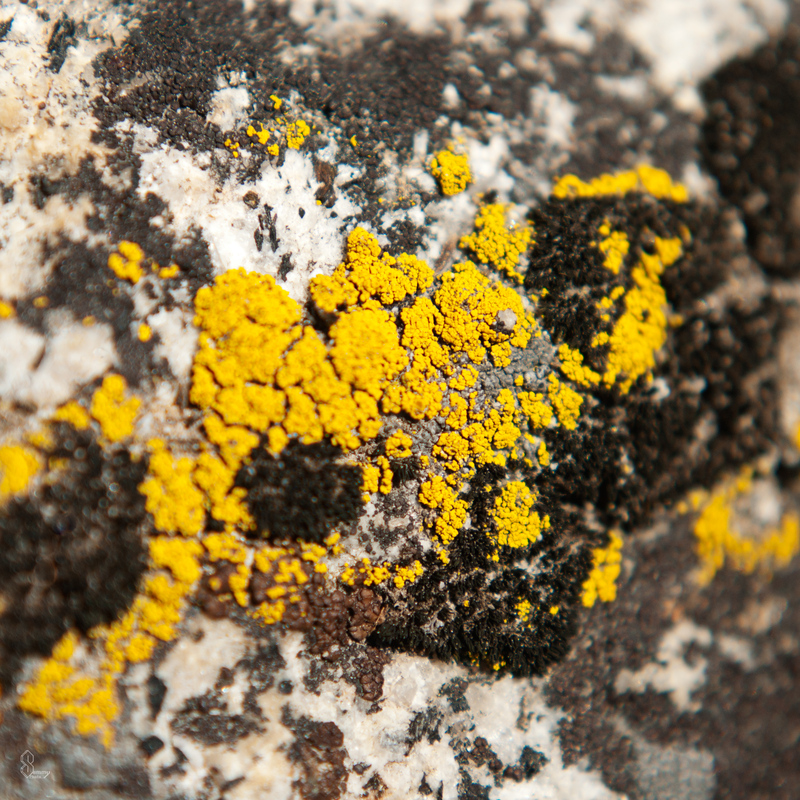 This green mold on a granite rock was very spotty and has a mustard type color. 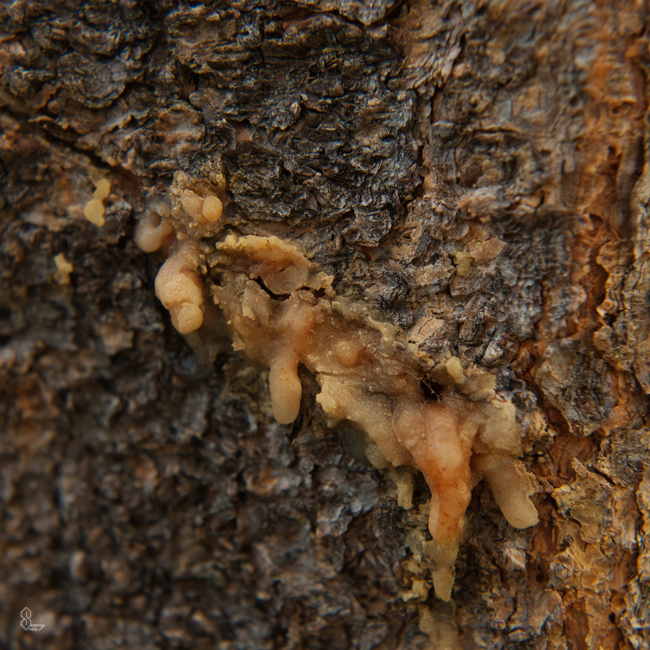 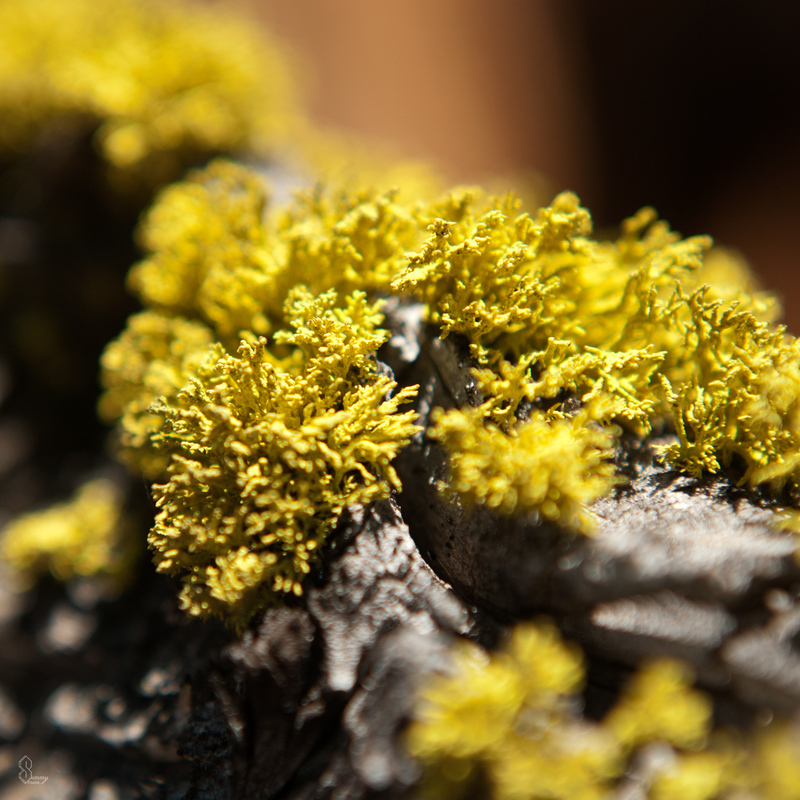 Often you will find dried sap on the pine trees in the area, and sometimes you even find one oozing. 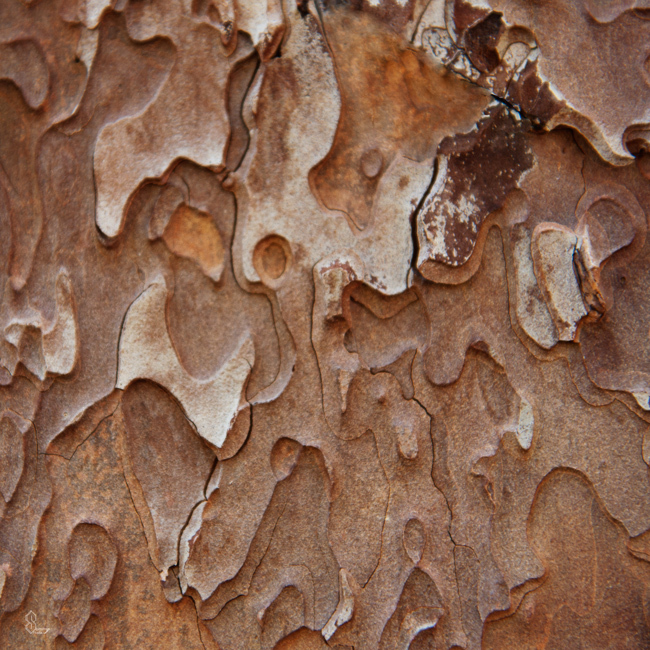 This tree bark had a very interesting pattern and looked quite weathered.